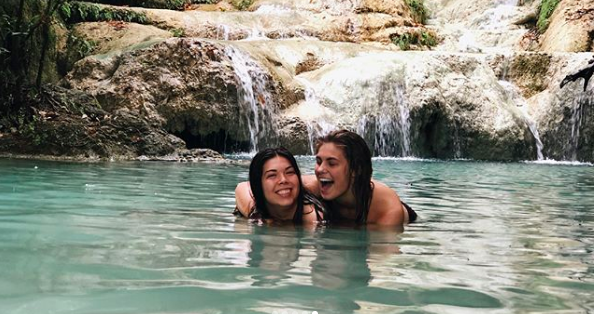 When you think about Thailand, you probably already think about crystal blue water against white sandy beaches, but I bet you didn't know there are pools of turquoise blue water in the rainforest you could swim in too. 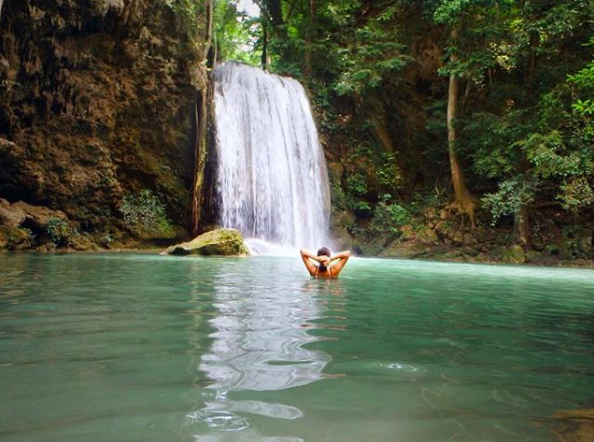 There is this place just a couple hours outside of Bangkok called Erawan National Park and you really can't miss it. I know I say that about so many things in Thailand ... I guess that's why you should spend a semester there instead of a couple of weeks. Go ahead and apply now to be an ILP volunteer and live here for a semester. 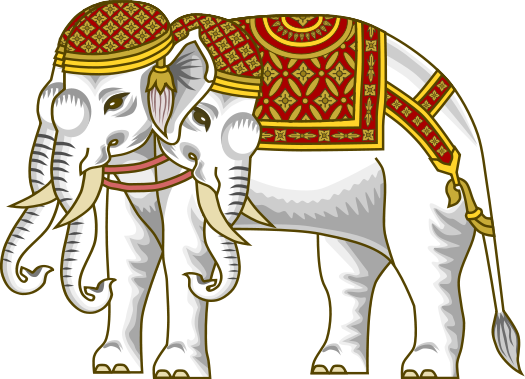 Have you ever seen the three headed white elephant in Hindu mythology? Well, that elephant's name is Erawan and (I'm sure you can guess at this point) is who the National Park and a waterfall in it are named after. 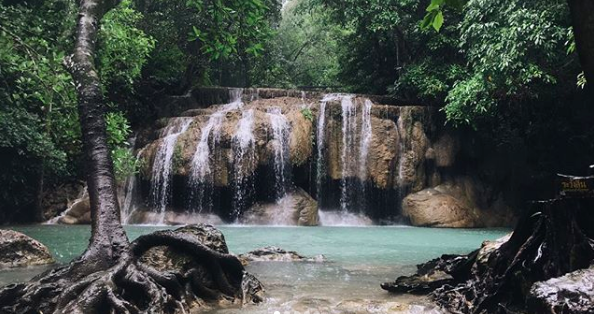 While there are a few different lakes and waterfalls you will see in the park, the Erawan fall is the main attraction. Inside, you'll find loads of waterfalls The most famous one is the Erawan Falls which is said to resemble the three headed elephant. The park has seven major tiers with many other smaller ones around it. All the tiers are accessible by trails and the lower ones tend to be easier to get to than the top ones, but the top ones are the most rewarding though. First waterfall: The easiest to get to (by mostly flat trail) and is known for the fish swimming in the pond. Careful, they might nibble on your toes! Second: Where most people will be swimming (there is a cave behind this fall for you to explore). Third: Taller than the first two and has a great pond that you can take a dip in -- you will be swimming with some fish in this one. Fourth/Fifth: Small falls that cascade over rock. It's a gorgeous photo opportunity. Sixth: Harder to get to. You will have to ascend some ladders and harder trails, but it's worth it! 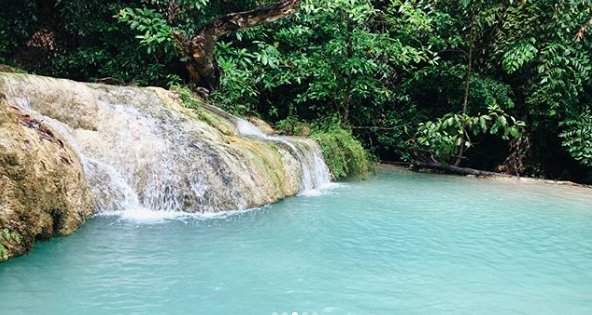 Seventh: The Erawan Falls is right at the top, and it's what you go for! Even though it's harder to get to, you'll be glad you stuck it out. The park is opened from 8:00 am to 4:30 pm every day, all year round. They start to clean around 3:00 and make people move down tiers as they clean (they start at the top), so get there as early as possible to make sure you have enough time to explore what you want to explore. 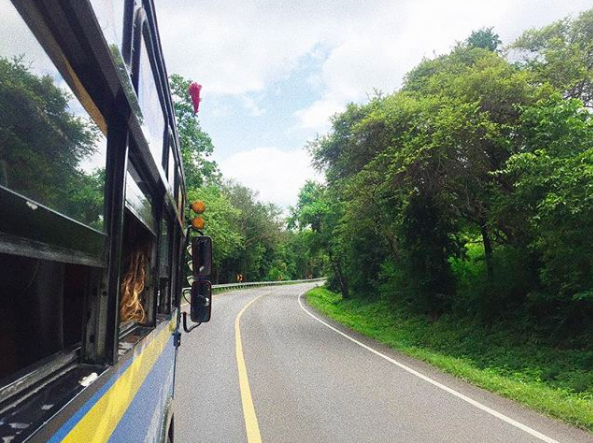 From the city of Bangkok, you can get to the national park in a few different ways: train, bus or Uber. If you are not worried about money, Uber is the way to go (it's the most direct option, but is the most expensive). If you want to save some money, opt in for the train or bus. There are two different times you can take a train out to the park from Bangkok. From the Thonburi Train Station, the first train leaves at 7:50 AM and arrives at 10:25 AM. The second leaves at 1:55 AM and arrives at 4:24 AM. You'll want to take the first one because the second one arrives when the park is closing. The fare for this train is 100 Baht (about $3). (Keep in mind that times and fares are always changing so check it out for yourself before you leave). BKS public buses (line 81) leaves from the Bangkok southern bus terminal (Sai Tai Taling Chan) and you can either get first class tickets or second class tickets. The first class tickets leave every 15 minutes and cost around 110 Baht and includes a bottle of water with your ticket. The second class tickets (new route) leave every 20 minutes and cost 95 Baht. Both of these buses will take about two hours to get to your destination. There is another second class ticket (on the old route), but don't take this one! It takes an hour longer to get there and I'm guessing you don't want that. Again, always check times and prices as they do vary! I always recommend taking an Uber in Thailand over a taxi because taxis are just not always trustworthy. Keep in mind that while an Uber/taxi will be the faster and easiest option (they'll pick you up/drop you off) right at your door way, it will also be way more expensive. I'd only recommend this option if you have a large group to split the fare between. You won't need too much, but be sure to bring a waterproof bag, a waterproof camera, sunscreen, bug spray, swimsuit, water shoes and a water bottle. Don't bring anything that can't get wet. You can leave your bag on the side if you want, but I don't recommend it unless you have someone to watch it for you. These falls can get really busy, so you'll want to be able to carry everything with you to avoid any of your belongings going missing. A small dry sack (we love these ones on Amazon) is highly recommended. They are big enough to carry all your essentials, but small enough to carry with you as you hike (and keep your stuff dry). There are five caves nearby that you can go to if you're interested: Ta Duang Cave, Mi Cave, Reua Cave, Phartat Cave and Wang Bah Dan Cave. If you have a little extra time and are ready for a good hike, you should check them out. 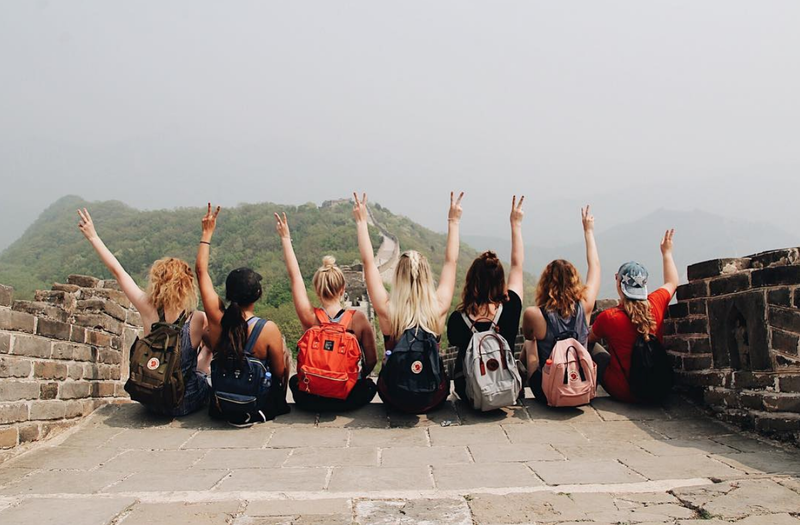 Thinking you need more time to really explore this country?